In January, Chinese handheld PC manufacturer GPD unveiled their plans to produce a 7-inch sub-notebook with an aluminum chassis that was aimed at professionals. 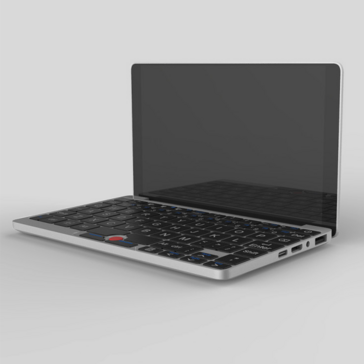 GPD has recently released the finalized details for the ultra-mobile device, including the date of February 15 for accepting Kickstarter pledges. GPD is trying to make a niche for the Pocket as a device that looks as premium as the MacBook Air or Surface 3 while being even more portable. However, its specs are designed to be competitive with those ultaportables as well. 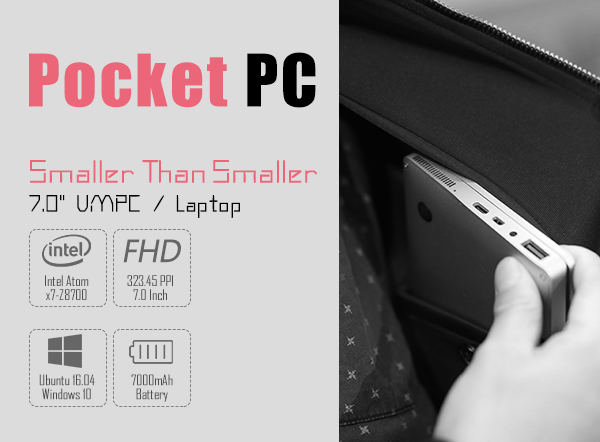 The pocket will pack an actively-cooled Atom x7-Z8700 CPU (the Atom in the Surface 3 is passively cooled, thus slower), a 1920 x 1200 16:10 ratio IPS touch display, 4 GB LPDDR3 RAM, 128GB eMMC storage, 802.11ac WiFi, and a 7000 mAh battery. It should also have a solid array of ports, including 1 USB 3.0 Type-A, 1 USB 3.0 Type-C, micro HDMI, and (courageously) a 3.5mm headphone jack. It won't pack the same punch as the MacBook Air, but it's also much smaller and lighter, measuring 7.1 x 4.2 x 0.7 inches and weighing just over 1 pound. All in all, these specs certainly look worthy of the Kickstarter asking price of US$399—but as usual, the end quality of the product will be determined by how well GPD executes the manufacturing.